As the year comes to an end, I want to wish you all a wonderful and happy new year. May 2012 bring you health and happiness! Since I love me a good DIY, I thought I'd share what kept me busy around here this year! 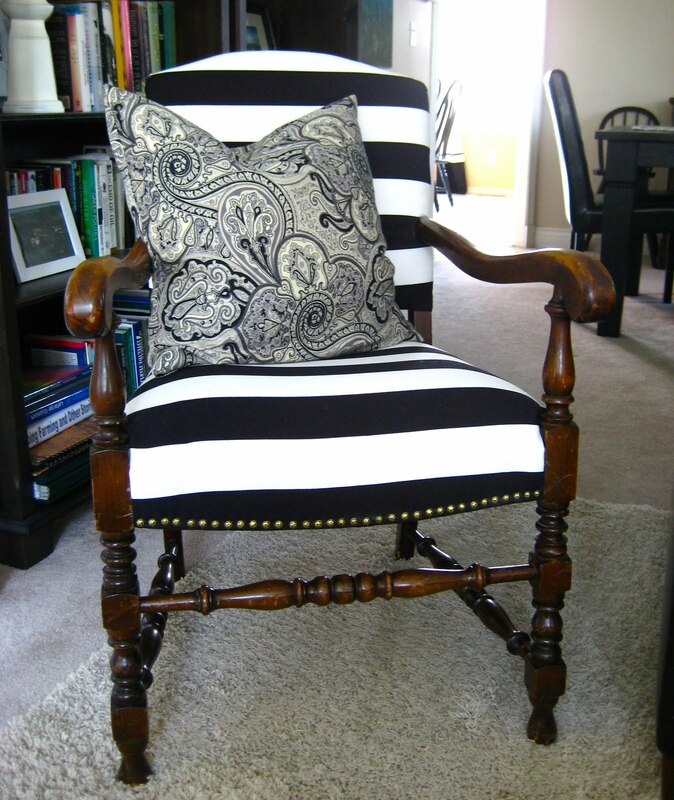 #2: I love black and white stripes. #2: Re-vamped side table for my daughter's room. 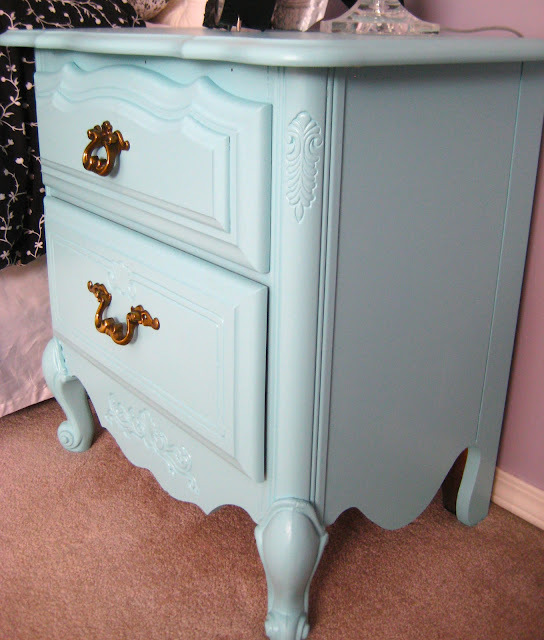 You can read how Carol from The Design Pages and I took the same side table and gave it two different looks! 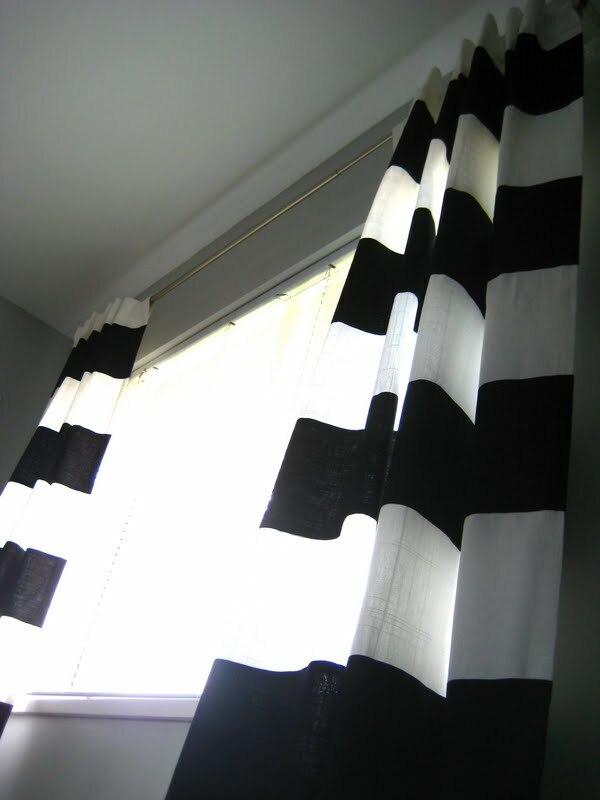 #5: Black and White Striped Curtains made from Ikea Drapery Panels. There you have it, DIY fun here at hodge:podge. Looking forward to tackling my to-do list and finally finishing some long overdue projects in 2012 -may this be the year where I don't procrastinate! Utterly gorgeous! Black and white stripes make such a statement. Every DIY project you complete is beautiful and professional. Love them all. Have a happy, happy New Year, Barbara! Happy New Year! Fantastic projects. I love the black and white color combo, so crisp, clean and sophisticated. Love each one -- but #3 is definitely my fave. Totally want! Well my talented friend as this year comes to a close I want to tell you how wonderful it has been getting to know you. You are such a talented lady, all of your projects are cool. You rock at sewing, hence why I've hired you to make me a blind. Happy New Year girlfriend! All those black and white stripes!!!!! You are brilliant my friend! BRILLIANT! And I will get to meet you in person, soon! How super duper fun! Happy, happy to you and yours. And cheers to a fun, creative and prosperous 2012. You had a great 2011! Love all of the b/w projects! Happy New Year! so inspiring...i hope to do at least 1 DIY in 2012. happy new year! You? Procrastinate? I don't believe it. Loved all your DIY's this year Barbara - your pillow tutorials most especially! Looking forward to more inspiration from you in 2012. Happy New Year! VERY amazing projects...You are the best! Looking forward to seeing what 2012 will bring! An amazing round up of DIY's! My favorite is the upholstered chair, of course, but if you ever decide to sell your pillows, I would buy them! Look forward to getting to know you even better in 2012! You've done so much in one year. It's unreal! You're so talented. I love it. Happy New Years Barbara!!! Great projects!!! Happy New Year!!! So many great projects Barbara! You had a very productive DIY year! I know that you've inspired me. You have done so much.. It's absolutely perfect :) Great job!! !